The battle for dominance in the music streaming and smart speaker markets has a new partnership. 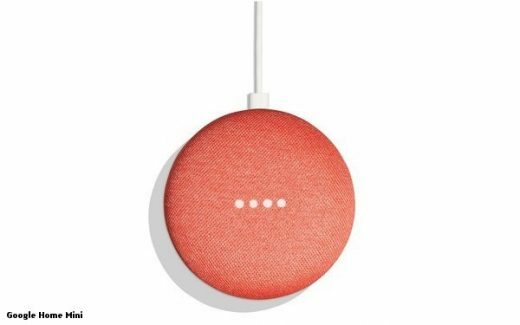 In a promotion, Spotify will give a new Google Home Mini to new and existing Spotify Premium For Family plan subscribers in the U.S.
That’s a $50 deal, but it may be attractive to would-be Amazon Echo and Alexa subscribers or owners of Apple’s HomePod with Siri, each with their own in-house music streamers, which also accommodate Spotify. The Mini is not just smaller than the Google Home, but its speaker is tiny, too, so the Spotify giveaway is not perfect from a strictly audio standpoint. But it does seem to be a deal. The Premium For Family subscription itself costs $14.99 for up to six family members, compared to $9.99 for an individual premium subscription. As the holidays approach–when Amazon products usually get a big boost–the Google/Spotify offer becomes an easily promoted feature. The promotion lasts until the end of the year and it also may be a public relations gift to some existing Premium For Family subscribers. Spotify faces intense competition from Apple Music’s aggressive growth trend and Google Music itself. It has 87 million paying subscribers among 190 million total subscribers, making it the biggest music streamer in the world. As competition tightens, those family subscribers pay less than the $9.99 it charges individuals. But family subscriptions takes all of them out of the market of Spotify’s competitors. Amazon’s Echo, the first smart speaker on the market, has far more sales than Google Home–possibly 60% versus 30%–but Google is gaining rapidly. So the Spotify deal is also a numbers game for Google as well. The Luxembourg-based Spotify just today reported its first ever quarterly profit of $48.7 million that was in large part the result of a financial adjustment. Spotify went public earlier this year and traded for as high as $180 a share. Amid the stock market’s slide this week, it fell to as low as $131, and Thursday afternoon was trading at about $140. Altogether, the Spotify had 191 million monthly users in the third quarter, up 28%, but it said it expects to report between 199 million and 206 million users for all of 2018, somewhat off analysts’ expectations. It also trimmed its growth projections, expecting to end the year with 93million to 96 million, not 97 million, subscribers.